We arrived in Ljubljana, Slovenia’s capital, with no expectations. We figured it would just be a solid pit stop before heading south to Croatia. However, after a couple days there we came away really impressed with all it had to offer. Ljubljana has beautiful Eastern European architecture, great parks, big squares, a castle overlooking the city and everything else you could want in an “off the beaten path” destination. Some have referred to Ljubljana as the “next Prague” in the sense that it is still a pretty undiscovered gem of Eastern Europe. The city was a little dead during the day because it was so hot (like Seville hot), but at night Ljubljana is HAPPENING! There is live music around every corner, literally. The place must have the highest level of street performers per capita in all of Europe. And I’m not talking about those creeps who dress up like statues and just stand still all day. These guys had talent…and Anna and I loved stumbling on to one after the other. 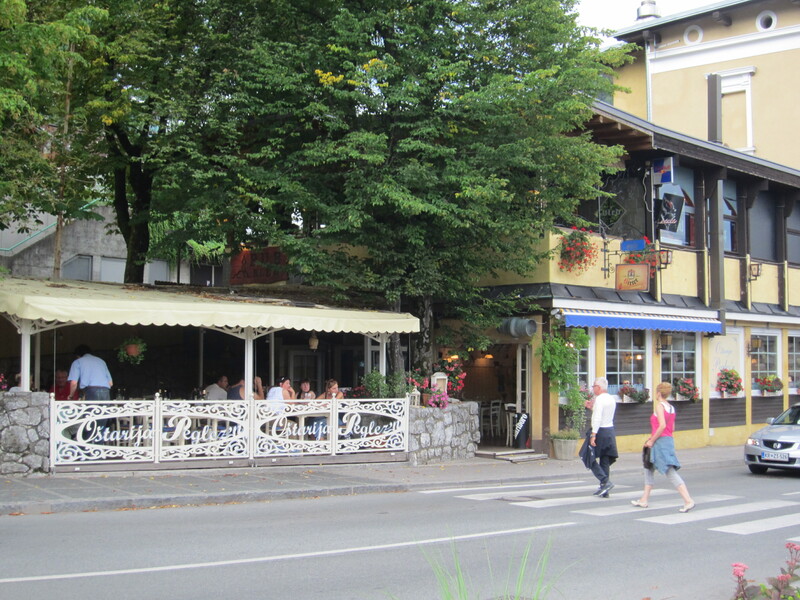 And while Slovenia isn’t exactly known for its cuisine, we had a couple really great meals in Ljubljana. One day for lunch we went to Ribca, a seafood restaurant tucked away underneath the Triple Bridge. It’s right next to Ljubljana’s fish market, so everything is super fresh. It’s cheap and simply prepared…usually just grilled with some lemon and olive oil. Anna and I spent a couple hours there enjoying our food and wine, escaping the midday heat and watching the boats pass by on the river. We would have gone back again, but they were closed on Sundays. For dinner on our last night we went to Lunch Café Marley & Me (weird name, I know) for some traditional Slovenian food. We had been dodging all the boiled potatoes and sausages we had seen but figured we had to give them a go on our last night. I got the restaurant’s award winning Karst style sausage and Anna got some potato dumplings with mushrooms. I won’t be going out of my way to find any Slovenian restaurants back home, but it was pretty tasty. And a couple more pics from a places that’s definitely worth checking out for a couple days. 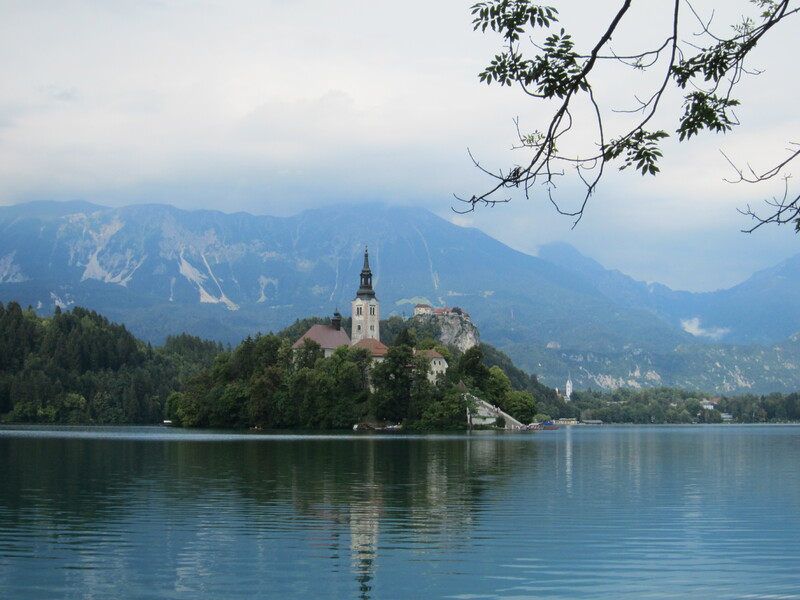 Between festive Ljubljana and beautiful Bled, we had an awesome week in Slovenia. After another long bus->train->bus->bus->walk travel day, we made it to Bled, Slovenia. Truth be told, we weren’t really feeling this place at first. We were beat from a long travel day, our apartment looked like a hospital room and part of the town looks like it’s stuck in the ’70s. But now, after five days here, we’re going to be sad to say goodbye to this beautiful place and its super friendly people. After finding the first Mexican food we’ve seen since we’ve left (I don’t care that we paid €9 for chips and salsa…it was amazing) and getting a much needed good night’s rest, we woke up in much better spirits. I mean, how can you not feel good when you’re celebrating your second wedding anniversary with the love of your life?! We set off to check out the area determined to make the most of our special day. 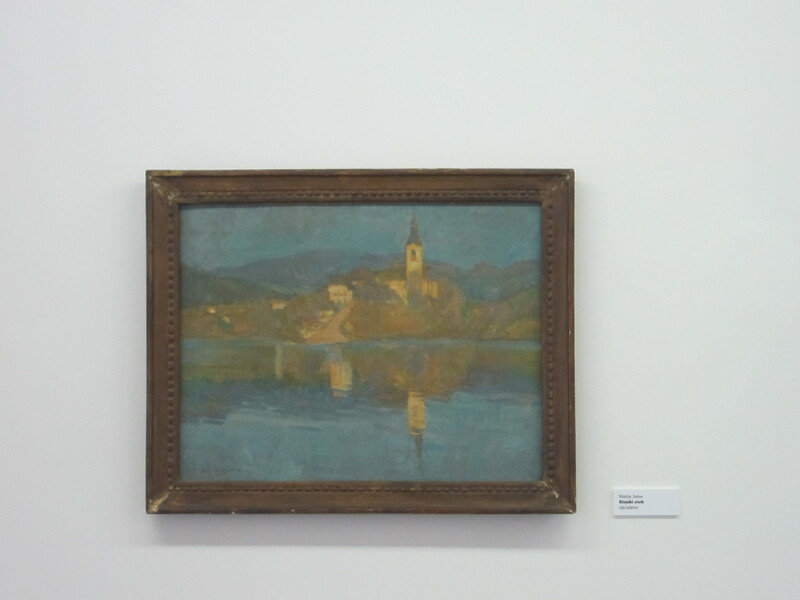 Like Anna mentioned in our last post, that included a long walk around Lake Bled, a visit to a Picasso and Slovenian Impressionism exhibit and some dinner at Oštarija Peglez’n. Nightcap with our bottle of Amarone wine from Verona…Happy Anniversary to us! Another highlight was renting bikes and riding to the nearby Vintgar Gorge, a stunning 1.6 kilometer long ravine through which the Radovna River flows. You can walk through the ravine on a series of paths and bridges carved into the rock. Super cool. Am I in a postcard? 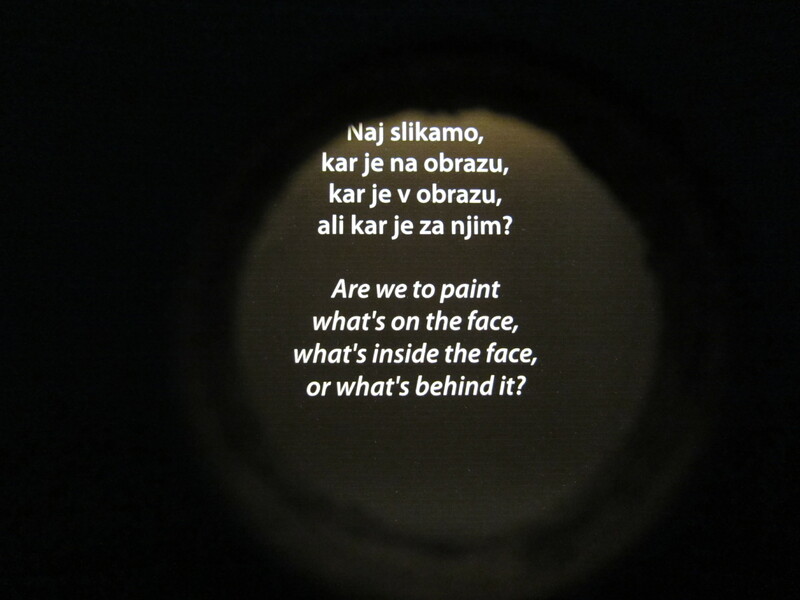 Celebrating two years of married bliss today with a Pablo Picasso and Slovenian Impressionism exhibit, a walk around Lake Bled, dinner at Oštarija Peglez’n and our bottle of Amarone!